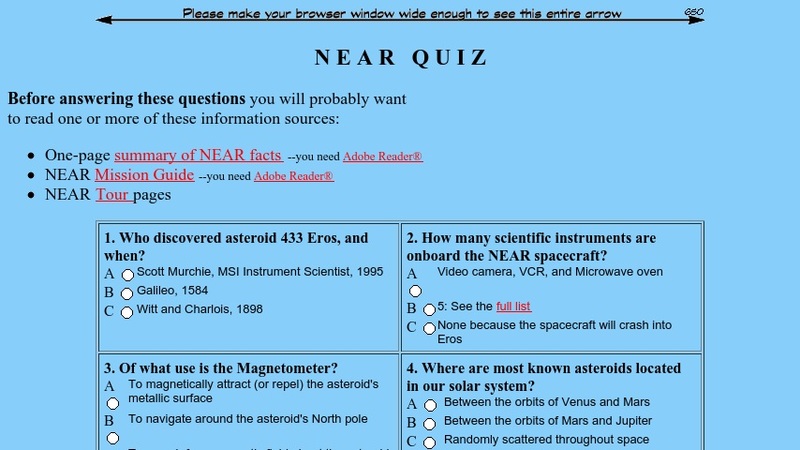 Students can take this online quiz about the NEAR spacecraft and its mission. There are ten questions, and the score is calculated at the end. Links to other NEAR sites are included.